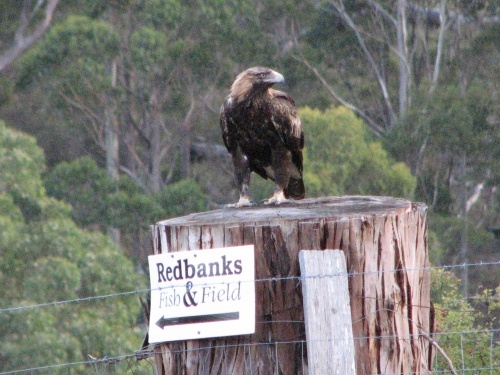 Step into the great outdoors...At Redbanks more than 400 acres of Tasmanian countryside is your adventure playground.Never thought you’d shoot a rifle, cast a fly into pristine waters or glide over Tasmania’s coastline aboard a light aircraft? In a single day at Redbanks you can experience all this and more. Whether it’s just yourself, a work function, team building exercise or a day shared among good friends, Redbanks can design a customised outdoor experiences to suit your needs. 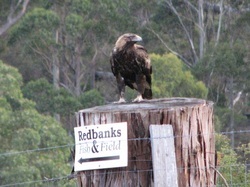 So gather some friends, a Hen’s or Buck’s crew, or a corporate group up to 300 and Redbanks will do the rest. Your event can be fully catered with a range of food options, from an informal lunch to a gourmet BBQ in the best Aussie tradition. Roger Butler — owner operator of Red Tag Trout Tours, has been fly fishing Tasmania’s wild brown trout rivers, streams and lakes for over 40 years. He specialises in the traditional fly fishing techniques of stalking/walking these waters introducing his clients to feeding/sighted wild trout predominantly using the dry fly, nymphs and dual rigs. His passion is his job and his aim is to have all his clients experience the excitement and success of taking their own wild brown trout (or rainbow) on the (dry) fly. Red Tag Trout Tours conducts all-inclusive guided wild brown trout, sea-run and rainbow trout fly fishing tours throughout Tasmania. Fly fishing in Tasmania with experienced trout fishing guide Mike Tenner will get your blood racing as you face off against wily Tasmanian trout and salmon. Mike has been successfully teaching the art of fly fishing and holding guided trout fishing tours in Tasmania for over 30 years. 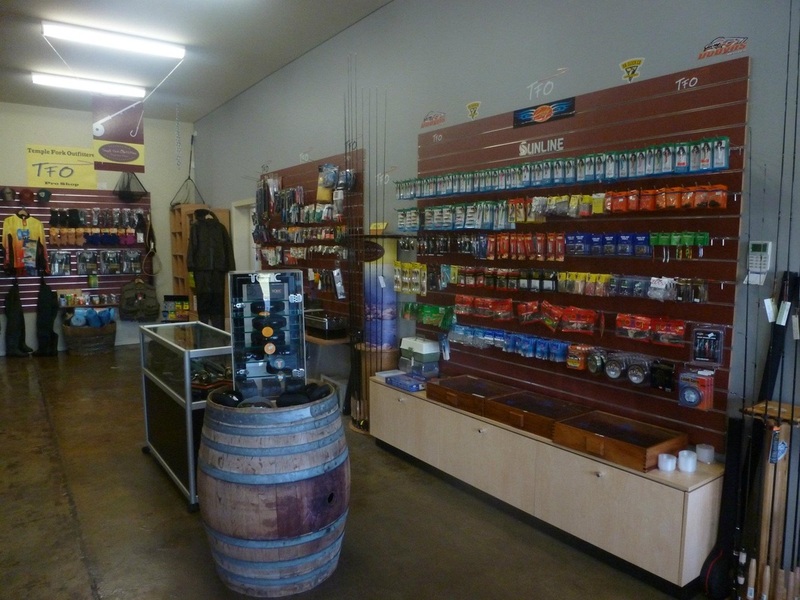 Fly and trout fishing classes are based in Hobart, Tasmania, and Mike teaches all aspects, including fly fishing equipment; fly selection based on the area's native insects; and casting techniques with overhead casting and line loop presented in detail. 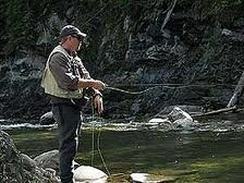 Practicing basic fly casting techniques on land will ensure a swag of trout when you hit the water and make the most of your guided trout fishing tour around the lakes of Tasmania. Tasmania’s highland lakes provide some of the best wild fishing in the world. The pristine rivers, lakes and streams surrounding have plenty of fish living in a natural environment. Our guided fishing packages give you the opportunity to experience spectacular natural scenery, and access fishing locations known only to the locals. You can choose to fish for a variety of trout and salmon and can try fly or lure fishing either on the lake banks or trolling from a boat. Try your hand at catching Tasmania's elusive wild brown trout from one of the many streams and lakes surrounding Tarraleah. You can purchase a fishing license from the store if you haven’t arranged that before your arrival. 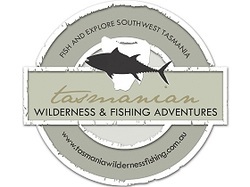 Tasmanian Wilderness & Fishing Adventures offer a totally unique experience. Explore and fish in and around Tasmania 's extremely isolated and rugged SouthWest coast and World Heritage Area onboard the 65 foot, fast boat, RUMOURS. We will get you to the best places quickly to maximise your fishing and wilderness experience time. East Coast Wilderness & Fishing Adventures also available. Tasmanian Wilderness & Fishing Adventures is as much about the Wilderness Adventure as it is about the Charter Fishing and we can tailor the trip to concentrate on as much of either activity that suits your group during the 6 day Live Aboard Cruise. No roads, no houses, nothing but pristine clean and green wilderness and some of the most jaw dropping spectacular coastal cliffs and bays in the world.